The Cairnhill Circle is considered to be one of the most prestigious areas of Singapore. It offers a remarkable range of facilities to the people living here. There is now one more excellent residential condo here. The Peak @ Cairnhill I consists of a remarkable range of amenities designed to meet the needs of residents who want to enjoy a luxurious lifestyle. 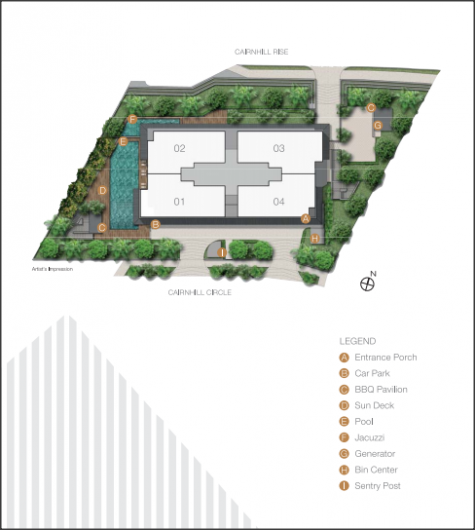 The responsibility of developing the property at Cairnhill I was taken up by a group of two reputed developers, TEE Development Pte Ltd and TG Development. These two brought together their experience and expertise into the creation of The Peak @ Cairnhill I.
TG Development has been in the property development business for decades. It is known for its ability to develop luxury properties that spare no expense in ensuring that the residents have all the amenities they require to have a convenient and comfortable lifestyle. Their homes are designed with great care so as to meet the discerning tastes of their clients. Many of the properties developed by TG Development have gone to win awards. Some of their best works include The Oliv and SkyPark. TEE Development Pte Ltd is another well-known property developer in Singapore and they specialize in residential projects. They are a subsidiary of the famed TEE Land. TEE Land Limited is one of the leading real estate developers and investors in Singapore. While their presence in Singapore is strong, they have also expanded into the proeprt development markets of other countries. They now have a growing presence in Australia, New Zealand, Thailand and Malaysia. TEE Development does not just develop residential properties. They have diversified into development projects on commercial as well as industrial properties. They have also invested in properties that generate income including hotels in Australia. Some of the residential properties that they have built in Singapore include 448 @ East Coast and Sky Green. With such experienced developers behind the project, The Peak @ Cairnhill is sure to be an excellent place to live in. Residents are sure to enjoy the lifestyle provided at this premium condo. The Peak @ Cairnhill I will be a place that offers some of the amazing amenities to the residents. 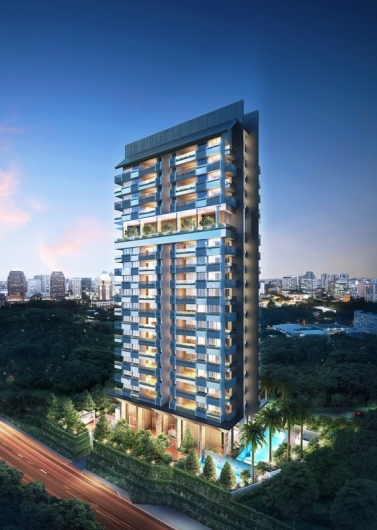 This freehold residential condo consists of 52 residential units spread over 15 floors. The luxurious atmosphere can be felt inside each residential unit. The living spaces have been crafted with great care. The fittings and finishing has been chosen to impart a sense of coziness and comfort to the resident. Moreover, they are all of a high quality, sourced from some of well-known brands. The condo features a contemporary design that continues into the residential units. Each edge and surface has been tastefully laid out after a great deal of thought. In other words, residents are the center of attention at the condo. At the same time, a number of topnotch facilities have been provided. All residents at the condo can use these facilities. The tower contains a fantastic Sky Terrace that contains most of these facilities. 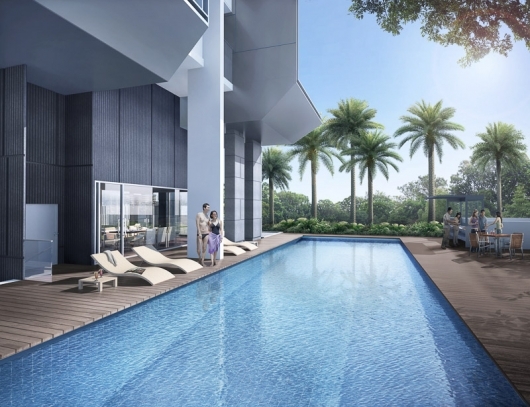 Residents can go for an energetic swim in the lap pool. If they wish to relax, they can use the pool deck to do so. There are other water features that are designed for rejuvenation such as the water jet pool and the feature pool. If the residents wish to enjoy a few moments of peace and quiet, they can head to the tranquil garden or take a break at the rest room. Finally, there is a gym here. It contains all the latest equipment that can be used for keeping oneself fit. With all of these features on hand, residents are surely going to enjoy a luxurious lifestyle while living here. The residential units do not lack for any conveniences and comforts allowing the tenants make the most of their lives here. The great thing about The Peak @ Cairnhill is that it is located in a quiet enclave. At the same time, it is a prestigious neighborhood in which the residential property has been built. Therefore, residents can enjoy the serene surroundings while living in comfort and quietness. Be that as it may, the residents are never far from an extensive array of spots. This is due to the excellent connectivity that the condo enjoys. The condo is well connected to all the major areas of Singapore with MRT lines and expressways. Newton MRT Station is so close that the residents can actually take a walk there. It is also possible to access two other MRT stations with a short drive. They are the Orchard MRT Station and the Somerset MRT Station. As for the expressways, the closest one is the Central Expressway. A short drive is all that is required to reach it. The Pan Island Expressway is a little farther away. Living at The Peak makes it easier to go shopping. The condo is within walking distance of a variety of shopping malls. 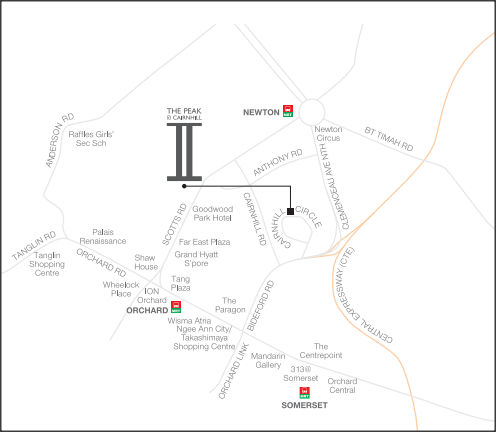 More importantly, Orchard Road is only a few minutes’ drive from the condo. As it is one of the biggest shopping neighborhoods of Singapore, residents are certain to be able to fulfill their shopping needs at Orchard Road. Some of the shopping malls in the vicinity of the condo are ION Orchard, The Paragon, Wisma Atria and Takashimaya. Of course, a range of leisure and dining spots can be found at Orchard Road. Parents also have a good reason to live at The Peak. This condo is located at convenient distances from several notable schools. Some of them include St Margaret’s Primary School, Chatsworth International School and Anglo-Chinese Junior School (Newton). With such conveniences on offer, residents are sure to find The Peak @ Cairnhill to be a good place to live. In fact, it will be more than just good. Luxury is assured in this condo. Moreover, the address is one of the most prestigious in Singapore. Therefore, residents will get access to the latest amenities and facilities in the most convenient manner. Pay 20% as Option Fee. Option is given for 24 months. No Stamp Duties for 24 months. No need to secure bank loan for 24 months. No need to pay property tax for 24 months. No maintenance fees for 24 months. Exercise Option anytime within the 24 months.